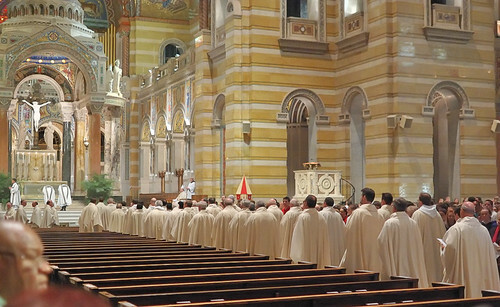 CHRISM MASS — where holy oils used in sacraments and liturgies are consecrated — was celebrated this morning at the Cathedral Basilica of Saint Louis. 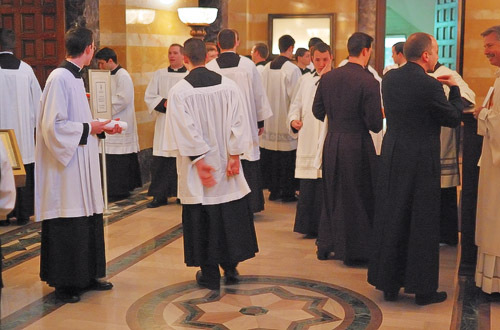 Seminarian-Altar Servers gather in the narthex before Mass. 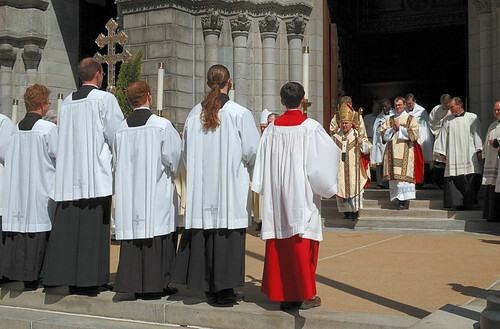 Procession of priests into the Cathedral. 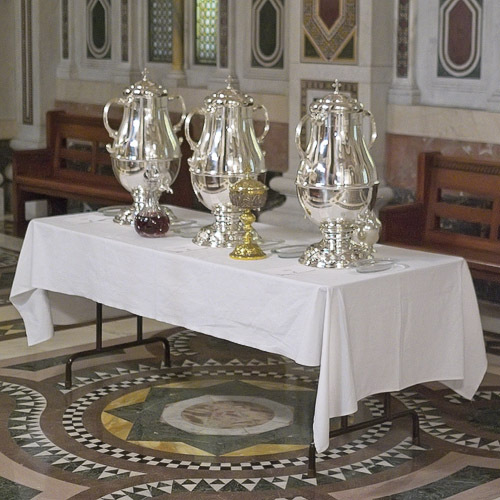 Vessels of oil before consecration. Chrism is oil used for anointing. The Hebrew word ‘Messiah’ and the Greek word ‘Christos’ — where Jesus' title ‘Christ’ derives — both mean ‘the anointed one’. Archbishop Robert Carlson leaving the Cathedral after Mass. 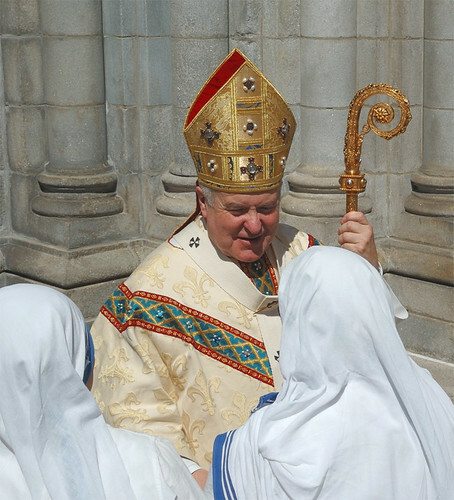 Archbishop Carlson greets Sisters of the Missionaries of Charity.